Fordham Prep, in conjunction with the five other Jesuit high schools in the New York metropolitan area, recently completed the 2018 Great Ignatian Challenge with another impressive number. For it's part, the Prep collected 36,371 food items weighing in at 447,813.55 lbs. Ryan Fodero '19 and Luke Mathison '19 were the co-chairs of the Prep’s drive. When this year's challenge was announced in November, an anonymous donor - now revealed to be Jim Rowen '82, Chief Operating Officer of Renaissance Technologies - pledged $250,000 in tuition assistance to the six schools based on the amount of food collected per student. The Society of the Friendly Sons of St. Patrick in the City of New York contributed an additional $20,000. For it's efforts, the Prep earned $42,100 of tuition assistance. 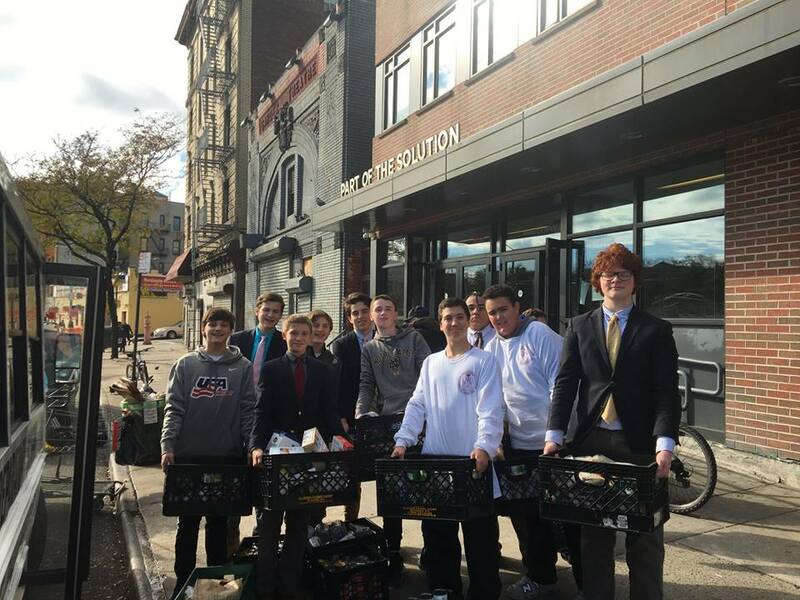 Fordham Prep has partnered with 7 local food pantries, including POTS, Concourse House, Mercy Center and Our Lady of the Assumption in the Bronx to distribute the food items during the holiday season. The official, final press release for the Challenge can be found HERE.